My dream has always been to become a professional footballer. After being elected to the Kuala Lumpur Youth Soccer team and spending a few years there, I created my own football school, Renaissance Football Academy. 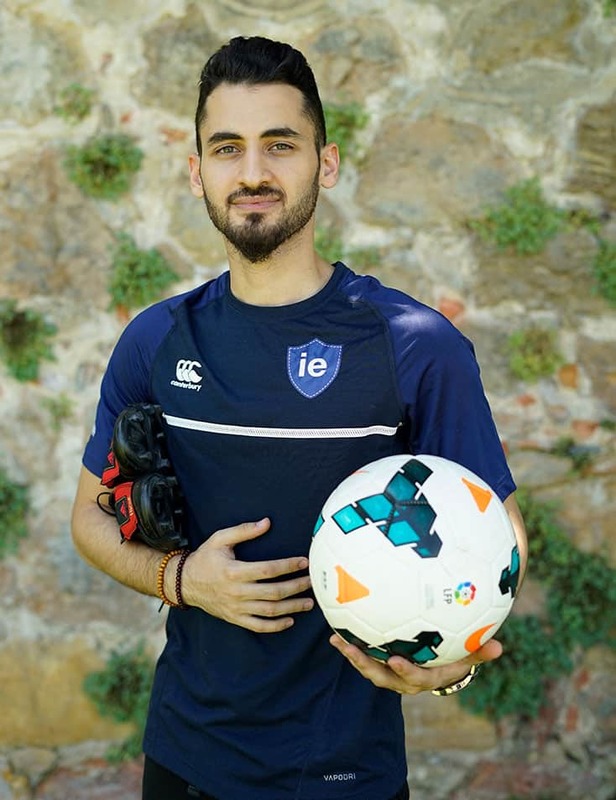 But the desire to play on a Spanish league and the recommendations I received about a university in Spain, where I could work and get support for my entrepreneurial projects, meant I ended up studying at one of the best universities in Europe, IE University. While completing my degree, I fulfilled my dream of playing on a federated team in Spain, IE University Athletics. And now, after graduating, I have other independent projects in the world of football, for example, the clothing brand "BLVCKAPPAREL" that I created together with some friends. Almustafa, an entrepreneur and fighter for his dreams, has completed his degree in Communication at the Segovia campus. After his graduation, he has decided to put aside the professional footballer he has inside, and focus on taking forward his entrepreneurial spirit that has only just begun.